El Salvador’s optimism for better prospects and transformative agenda continues to grow as young Nayib Bukele wins a landslide victory in Sunday’s presidential election. Nayib Bukele (37), the former mayor of El Salvador’s capital, won nearly 54% of the votes, more than his two closest rivals combined, bringing an end to a two-party system which was in place for three decades in the violence-plagued Central American nation. An anti-corruption outsider, Bukele presented himself as an alternative to traditional parties, capitalizing on the anti-establishment feeling sweeping elections across the country. Bukele surpassed the 50% threshold, winning the presidential elections in the first round, under the slogan ‘There’s enough money when no one steals’. “This day is historic for our country. 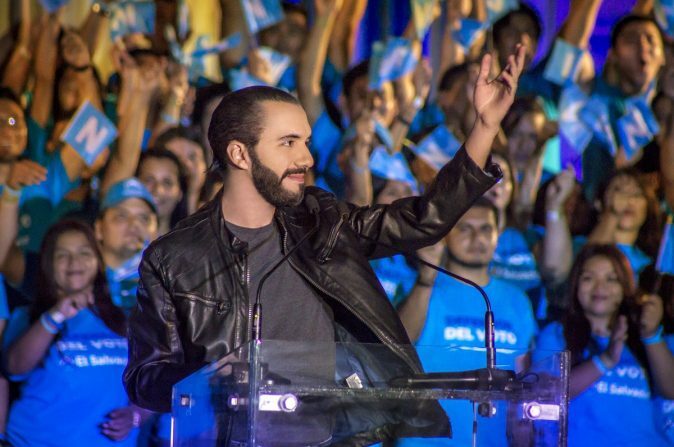 This day El Salvador destroyed the two-party system,” Bukele told the crowd that gathered to celebrate its victory in San Salvador’s streets. Carlos Callejas of the Nationalist Republican Alliance came in second, with less than 32%, while former foreign minister Hugo Martinez of the Farabundo Marti National Liberation Front (FMLN) came in third with nearly 13%.